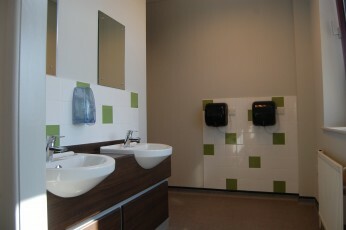 This Project involved the Refurbishment of the existing Female WC’s and Shower rooms located on the 1st floor of the Council house. 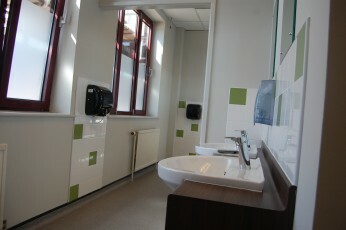 The existing WC was enlarged into the adjacent room with the complete refurbishment of each room. 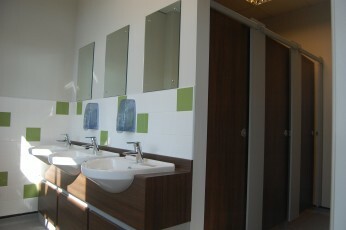 New Mechanical and Electrical services to accommodate the additional sanitary ware. 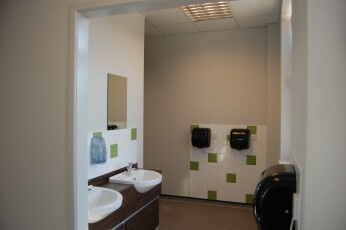 The councils specification included Bushboard IPS panels, cubicles and vanity units, new non slip floors, suspended ceilings and complete decorations.